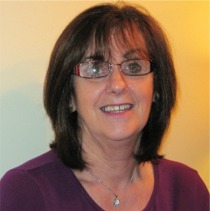 STRESSED out Irish mammies and daddies can spare a thought for one Inishowen mum who has FOUR children sitting the State exams. Mary McCauley from Greencastle waved off her two sets of twins on the first day of the Leaving and Junior Certificate examinations on Wednesday. 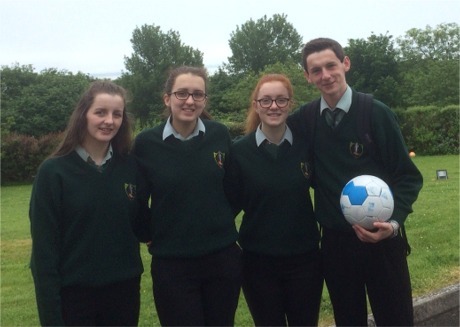 Twin siblings: Pictured centre are 18 year old twins Jane, left, and Kate McCauley who are taking the Leaving Certificate flanked by their 15 year old twin siblings Emma and James who are sitting the Junior Cert. Twins Kate and Jane (18) are sitting the Leaving Certificate and their younger siblings, twins Emma and James (15) are both tackling the Junior Certificate. Mary and husband Leo, who run an estate agency in nearby Moville, also have a fifth child, Sarah (17) who is luckily exam-free this year. "We're so used to dealing with everything that comes with having two sets of twins and five children in total that I didn't really think having four of them doing the State exams at the same time was that big a deal," she said. "But I suppose it is quite a lot of children doing the big exams at the one time from the same family," she laughed. Apart from English, Maths and Irish, Kate McCauley is taking Geography, Music, Religion and Biology. Her sister Jane is taking the standard three subjects plus Business, Economics, French and Biology. Kate hopes to study Music at Maynooth while Jane hopes to further her Business studies at NUI Galway. All four are students at Moville Community College situated on the banks of Lough Foyle. The McCauley household is currently being run with military precision with cupboards and the fridge stocked up with plenty of exam-time supplies. They all are studying in separate rooms while Mary has all four mobile phones safely tucked in her handbag for the duration of the exams. "The stress levels in the house are up a big notch but we're all coping well. Sarah has been a God-send and has been making them snacks and bringing them endless cups of tea," added Mary. "When it's all over in about two weeks’ time, we might all get out for a family meal."